Ben Carson's campaign admitted on Friday morning that the leader in the GOP presidential polls fabricated the story about having received a scholarship to the U.S. Military Academy at West Point, Politico reports. The story of his scholarship to the prestigious West Point Academy was central to Carson's inspiring personal story, but after an inquiry from Politico about the lack of record of his scholarship, Carson admitted that the scholarship story was false. A West Point Academy spokesperson who spoke to Politico stated that the school had no record of Carson's application to the university or a record that he was admitted. There was also no record of Carson having been offered a scholarship. Not only did the spokesperson, Theresa Brinkerhoff say there was no record of an application or of admission, but that the school shows no record that Carson even initiated the application process. Carson has claimed in the past that he turned down the chance to attend West Point because he did not want to delay his career as a doctor with four years of military service required after graduated from West Point. Politico reported that Carson has long drawn on the story of his admission and scholarship to West Point as a means of promoting him as an inspiring figure. Carson wrote about his experience with West Point in his book, Gifted Hands, and the admission that this story is false calls other aspects of his personal narrative into question. 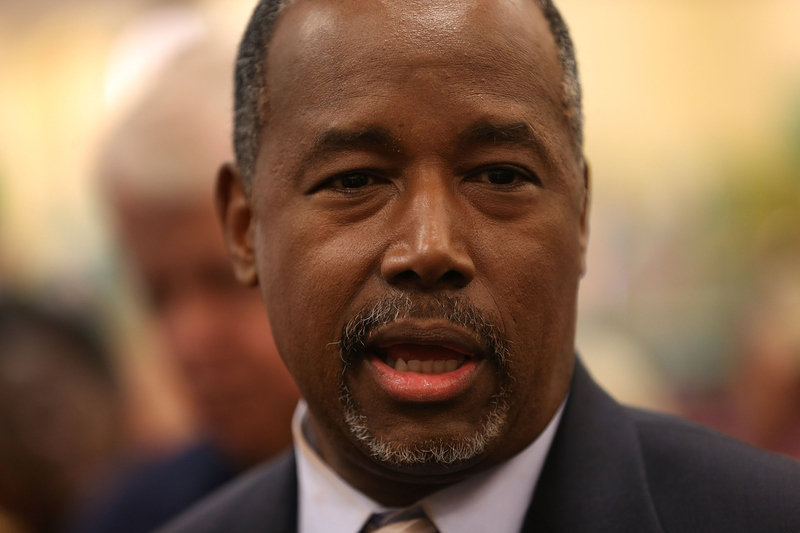 This outing comes at a very inopportune time for Carson, who recently started leading in the GOP polls. The fourth Republican presidential debate is also only a few days away on Tuesday, where Carson will surely be asked to defend himself in the face of this new information. This was only a couple of hours before Politico released their report about Carson and his relationship with West Point. While Carson was able to deflect questions about a violent past on CNN by attacking the media, his campaign really had no choice but to admit the lies about West Point, given that the evidence presented by the school is basically irrefutable. The consequences that the admission about West Point (and any other misinformation he's accused of dispersing about his own life) will have on Carson's ranking in the polls.